The Nativity, Passion and Resurrection are the three defining episodes in the life of Jesus, forming the foundations of the Christian tradition. But what is the truth behind these epoch-making events? 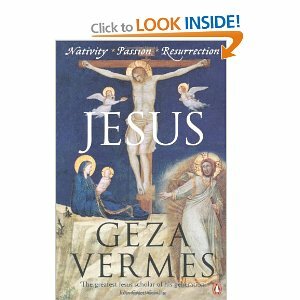 Geza Vermes is one of the world's most respected bibilical historians. Bringing together his three acclaimed works on the life of Jesus in one volume, this book examines the circumstances surrounding the miraculous birth of Jesus, from the prophetic star to Herod's murderous decree; looks afresh at the arrest, trial and execution of this Jewish charismatic; and finally analyses Jesus' crucifixion and the subsequent sightings of him by his disciples. Drawing on the New Testament, Jewish documents and sources from classical literature and history, these works separate myth from fact to penetrate the deeper meanings of the story of Christ.